ISeeRobots: Erin Grey As Col. Wilma Deering And Some Thoughts On Her Blaster. 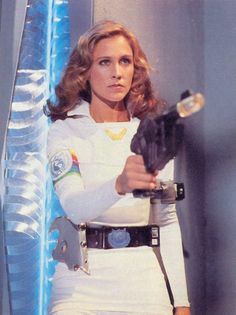 Erin Grey As Col. Wilma Deering And Some Thoughts On Her Blaster. 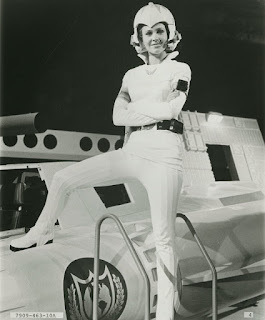 I just really like this pic of Erin Grey as Col. Wilma Deering from Buck Rogers. I was so into that show. Man, I am sure that I have posted this pic before but I came across it in a folder and decided, why not? I'm going to use that one up there as a wallpaper for a minute. I like how stern she looks. Just so serious. I also dig the widow's peak helmet. It's nice how the point comes down the middle of her face. I'm back. I looked. 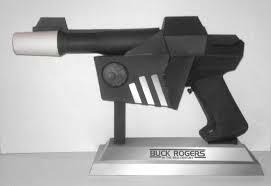 It's super easy to find a Buck Roger's one and they aren't super expensive. I saw them for as low as 65 bucks. 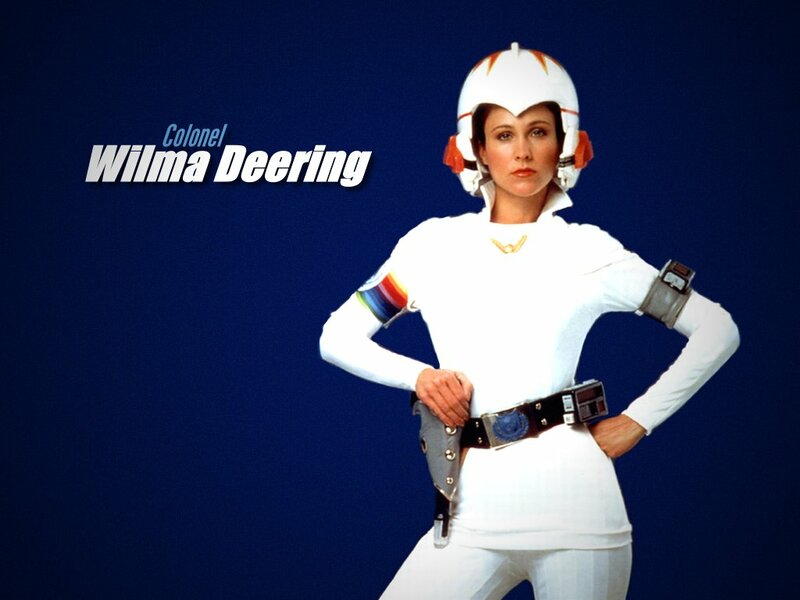 If you want a Wilma Deering one though, well, I don't know what to tell you. I couldn't find one and it appears to be a bit different then Bucks. Maybe it's the same. That pic up there is the only one that I've looked at and this is really the first time that I've thought about it. Here is a pic where you can see a bit more of the side. and down there is a pic of Buck's. They look really similar but not exactly the same. That might just be that the replica is a bit off. Here is a different pic where you can see both of their gats. Bucks is way different. It looks like it has a clip or something in front of the trigger guard part. IDK, I guess in the long run of things it doesn't really matter. 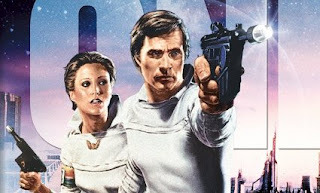 Also, that doesn't really look like the gun he used in the show anyway. This is a quite useless piece of evidence. If you happen to be a Buck Roger's expert and no the answer to this. Hit me up. I am a bit curious.